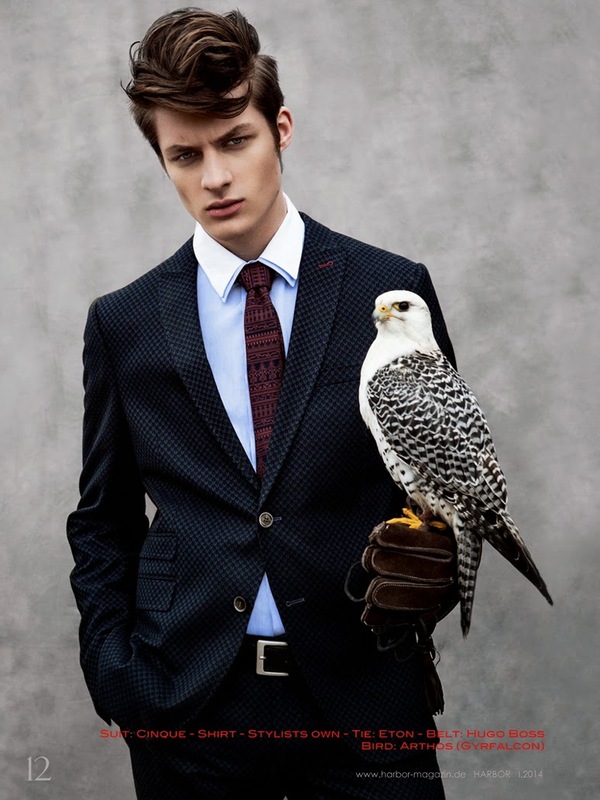 Does it really get much better than good-looking men in good-looking suits holding falcons? Yeah, I didn't think so either. A bit of eye candy inspiration celebrating surviving the first half of my finals week, hooray! For similar reasons (ahhh I still have half a week left of final exams!) I will have to make this post quick. 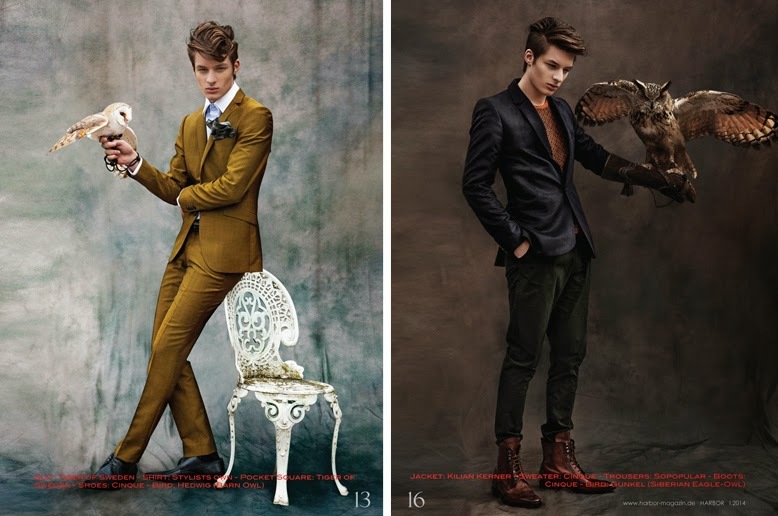 These photos are from Dino Busch's shoot for Harbor Magazine, and frankly I can't decide whether Dino or the birds make a better intense-stare face. Who wore it better?